Playa Escondida is an exclusive beach community inside Los Suenos Resort. 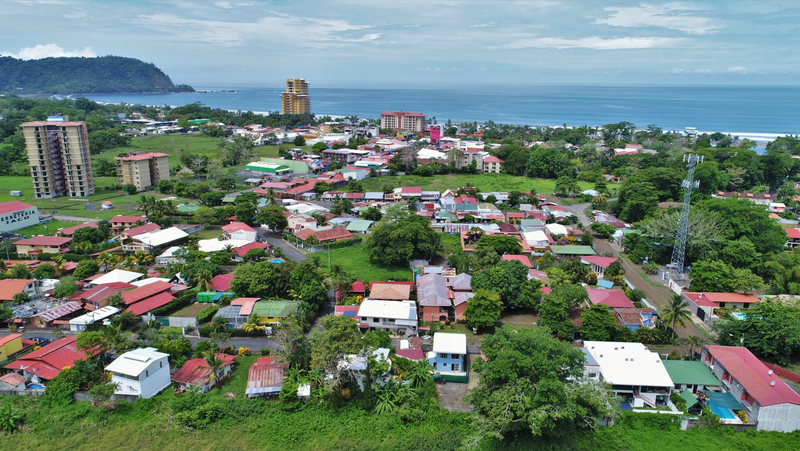 You can get to this hillside neighborhood in Herradura by passing through the grounds of the Los Suenos Resort and Marina. This is one of the most prestigious gated communities on the Pacific Coast in Costa Rica and is minutes away from the beach town Jaco. The residential neighborhood starts at the gated entrance and the luxurious homes or townhouse developments are located going down the hill. Every residence has a panoramic ocean and sunset view. Down the hill you will get to beach of Playa Escondida which is a beautiful white sand beach going into a blue ocean. There are a couple of homes in Playa Escondida located beach front. The beach is lined with palm trees and almond trees and those are frequently visited by Scarlet Macaws. Since Playa Escondida is surrounded by tropical vegetation you are able to see many animals such as monkeys. The community has beach club with swimming pool and barbeque area. Playa Escondida provides privacy and gives access to one of Costa Rica’s nicest beach. The clear blue water of the ocean is perfect for snorkeling, there are many colorful fish in the water. Since the community is in a cove the waves at the beach aren’t too strong so it good for swimming. The popular surf break is a bit further out and well known among locals. This good surf break is more for the experienced surfers since it breaks on a reef. Los Suenos Resort and Marina is located right next door and has several great features such as a golf course, marina, hotel, spa and shops and restaurants. Playa Escondida is an awe inspiring location. Surrounded by Costa Rica’s natural beauty you can understand why Playa Escondida is a popular Costa Rican elite neighborhood. If you are looking for real estate in Playa Escondida or Costa Rica feel free to contact any of the agents in the REMAX Oceanside office.